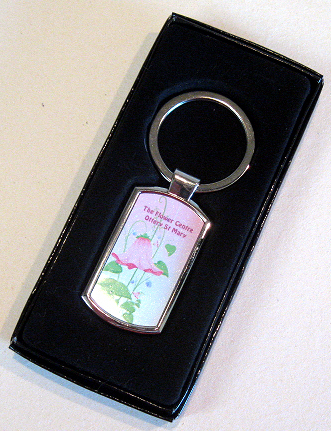 Silver effect keyring which takes one rounded rectangular shaped 41 x 19 mm insert for dye sublimation printing. The insert is included and the keyring is supplied in a glossy black presentation box. 50-55 seconds at 195º centigrade. Medium pressure.